Finally! 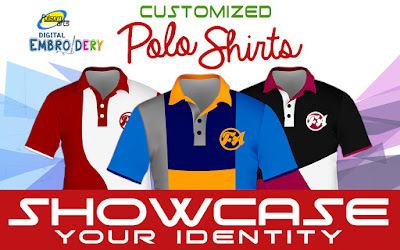 Folsom Arts Embroidery is now accepting CUSTOMIZED / PRE-DESIGN POLO SHIRTS. Choose from our 33 unique polo shirt designs or tell us what you have in mind, and we'll make it exclusively for you. Available combination is from two-tone to four-tone. Merge it with your desired embroidered logo and have your perfect attire to showcase. Copyright © FOLSOM ARTS - EMBROIDERY 2015. All Rights Reserved. Powered by Blogger.